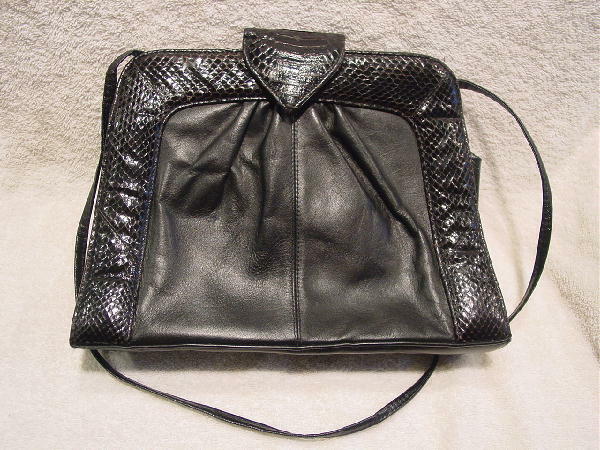 This vintage black leather purse is edged on 3 sides in the front by black snakeskin. It has a magnetic closure hidden under the front flap. Except for the back end of the flap, the back is plain. There is a 45" long by 5/16" wide shoulder strap, which can be tucked inside and the purse carried as a clutch. There is a black fabric lining with a zippered pocket.